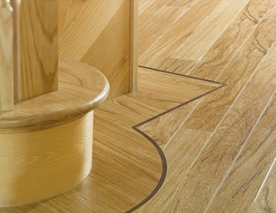 Working with local councils and main contractors we regularly carry out commercial vinyl flooring installations and are also now installing the beautiful ranges of designer flooring from Karndean and Amtico into people's homes. Faithfully reproducing the texture and look of materials like natural stone and wood, these designer vinyls retain the same hygienic low effort maintenance as regular vinyls. Call us today for more information on 01225 774743.